Arithmetical functions are a handy new tool to view and compare information on your fme file and IQ objects. These are used in conjunction with Individual Quality Reports & Summary Functions in the “Note” of the IQ object. 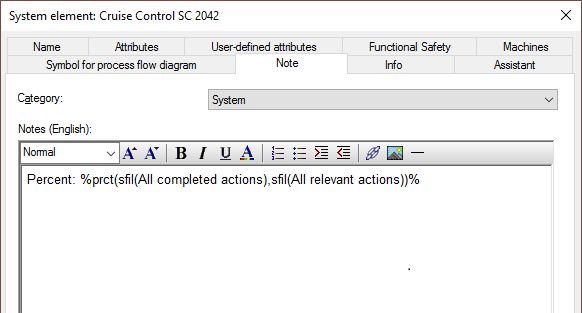 Below is an example of how to use this functionality, currently available to maintenance customers only. 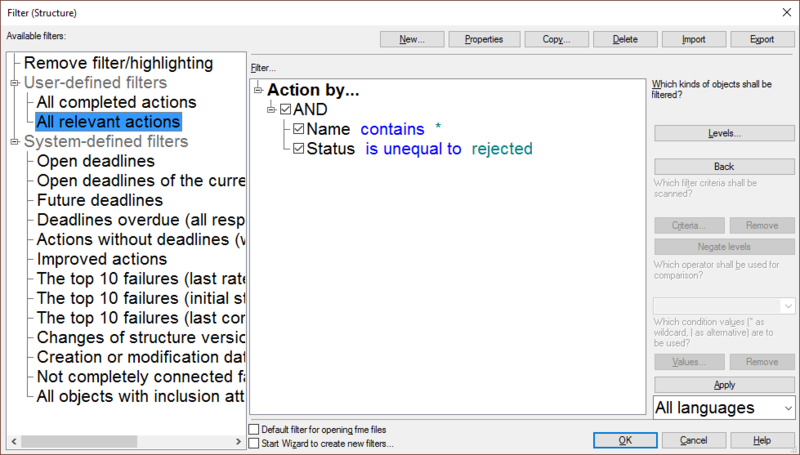 Create a structure filter for all the actions in the fme file. Create a structure filter for all completed actions. Open “Note” (Ctrl + B) for an IQ object. 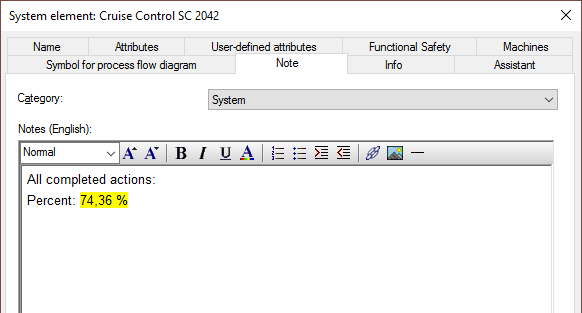 In this example, a system element is used. 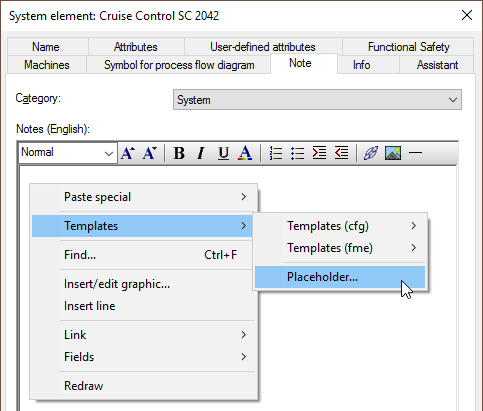 Then use the context menu and select “Templates | Placeholder”. 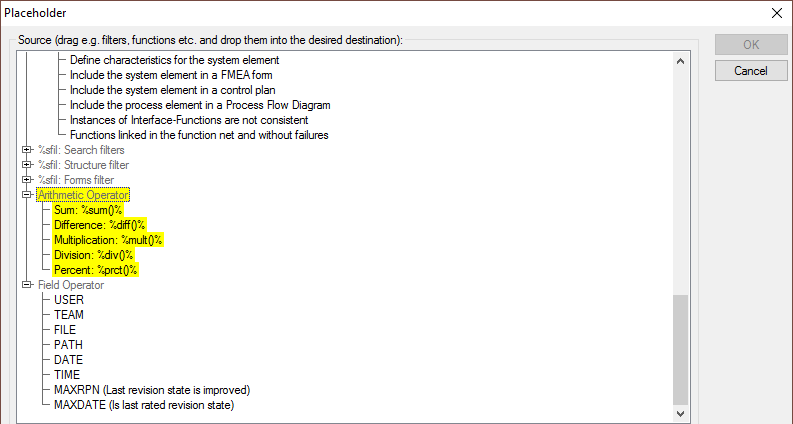 Drag & Drop the placeholder “Percent: %prct()%” on to “summary function/placeholder” in the “Destination” dialog. 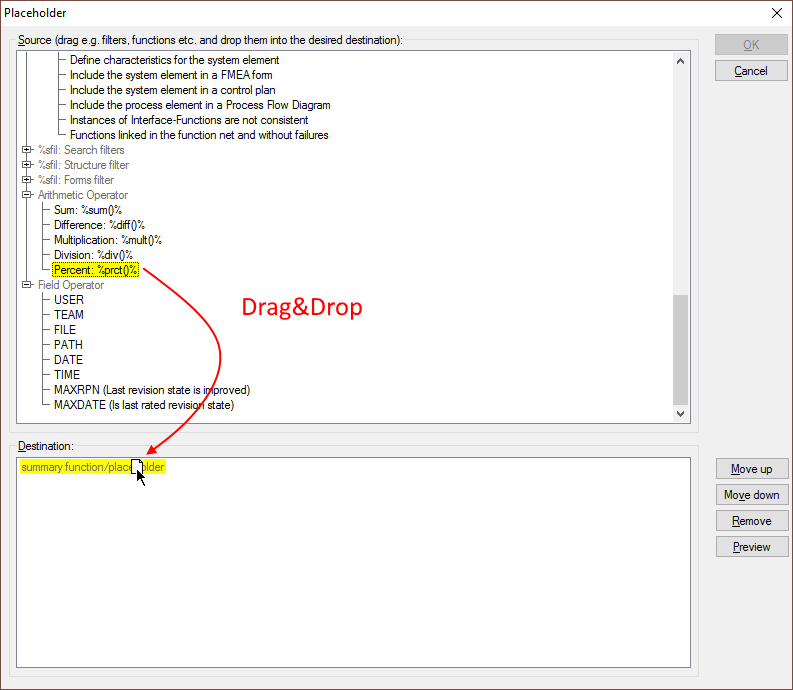 Select both of the structure filters and drag them on to “Percent: %prct()%”. 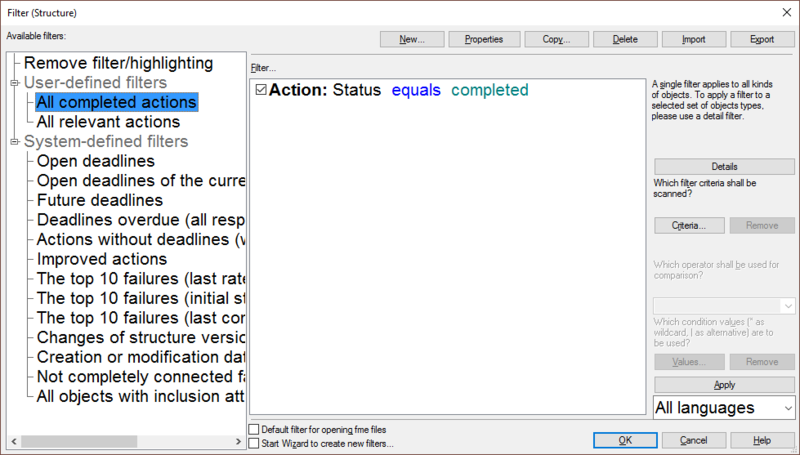 Sort the filters so that “All completed actions” is above “All relevant actions”. 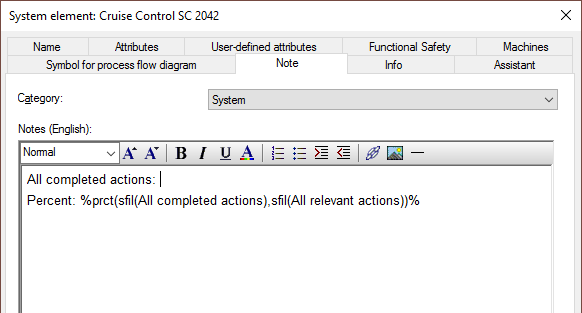 This will result the correct calculation being made: Percentage = “All completed actions” / “All relevant actions * 100. Then click “OK”. The “Note” tab will now contain the placeholder. 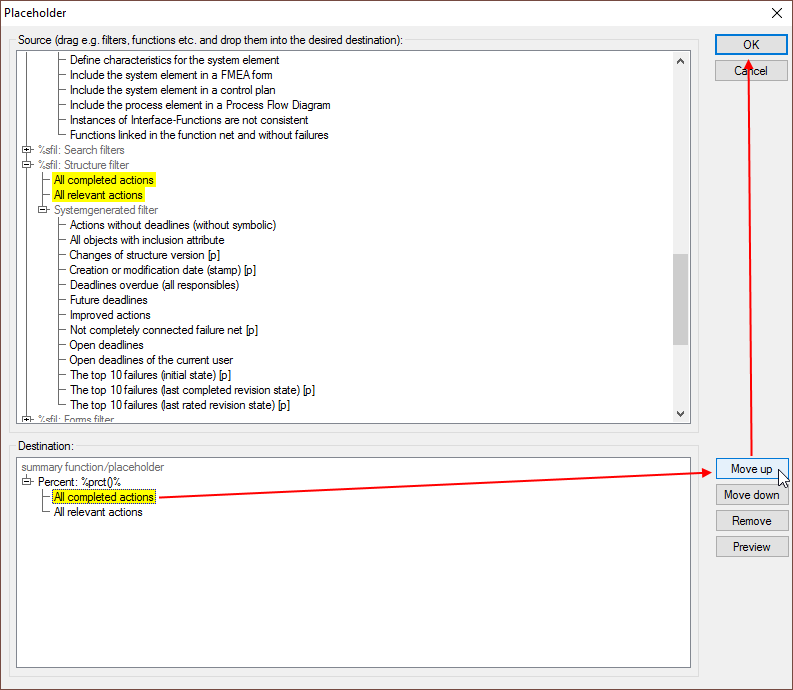 Recommended step: copy “All completed actions” and paste it above the placeholder. Press the F9 keyboard key to update the placeholder. Recommended step: save the new placeholder in either the cfg- or fme file as a template for future use. Name the template. That’s it, you’re finished! Click here to go directly to the forum subject to discuss this and other highlights of this Service Pack. Note: If the text appears in German and you would like Google Translate to translate the page then first select “English” on the main forum page.